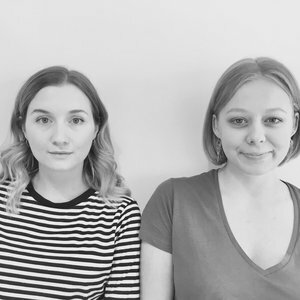 We are Hannah and Becci, a recently graduated female creative team who met at Falmouth University whilst studying MA Creative Advertising. Though we met in the September of the course, it wasn’t until the January (whilst both very drunk in a grimy toilet cubicle of Falmouth’s most esteemed nightclub) that we decided to work together. We’re passionate about creating work that has a meaning - for example, we recently worked on a campaign for Mooncup which highlighted the issue of period poverty within the UK, something that we both feel is a vital issue within todays society.